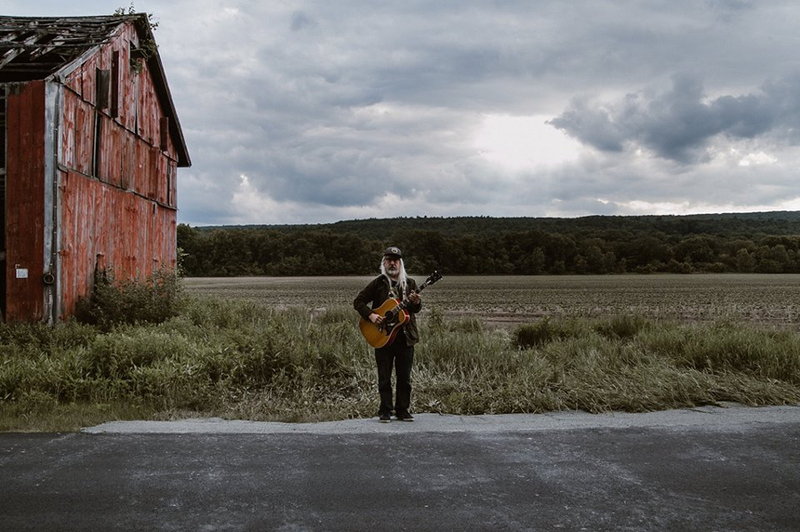 Dinosaur Jr founding member comes to the Festsaal Kreuzberg this July to rock you with his exceptional guitar weilding skills. It’s all but inconceivable that J Mascis requires an introduction. In the quarter-century since he founded Dinosaur (Jr.), Mascis has created some of the era’s signature songs, albums and styles. As a skier, golfer, songwriter, skateboarder, record producer and musician, J has few peers. The laconically-based roar of his guitar, drums and vocals have driven a long string of bands – Deep Wound, Dinosaur Jr., Gobblehoof, Velvet Monkeys, the Fog, Witch, Sweet Apple – and he has guested on innumerable sessions. But Several Shades of Why is J’s first solo studio record, and it is an album of incredible beauty, performed with a delicacy not always associated with his work. Recorded at Amherst Massachusetts’ Bisquiteen Studios, Several Shades is nearly all acoustic and was created with the help of a few friends. Notable amongst them are Kurt Vile, Sophie Trudeau (A Silver Mount Zion), Kurt Fedora (long-time collusionist), Kevin Drew (Broken Social Scene), Ben Bridwell (Band of Horses), Pall Jenkins (Black Heart Procession), Matt Valentine (The Golden Road) and Suzanne Thorpe (Wounded Knees).